They join a growing number of extra-large designated women parking spots being unveiled around the country, from shopping malls in Chongqing in south-west China to Hebei in the north. The purpose of the spaces have been hotly debated on Chinese social media site Sina Weibo, with many netizens saying they reinforce the stereotype that women are bad drivers while others say it is a considerate design. Fang Hongying, manager of the Jiande highway service area, recently told Chinese state media Xinhua that driving skills were only part of the reason behind the women's only parking spots introduced last October. "The women's parking spaces are closer to the exits and monitoring systems, which is more convenient for female drivers to take a break or go shopping in the main building, and much safer, especially at night," she said. A survey conducted on the Sina Weibo found 63 per cent of the 1,700 respondents believed it was a good idea to designate female-only parking spaces. Many Weibo users were quick to label the spaces as sexist and defend the ability of female drivers. 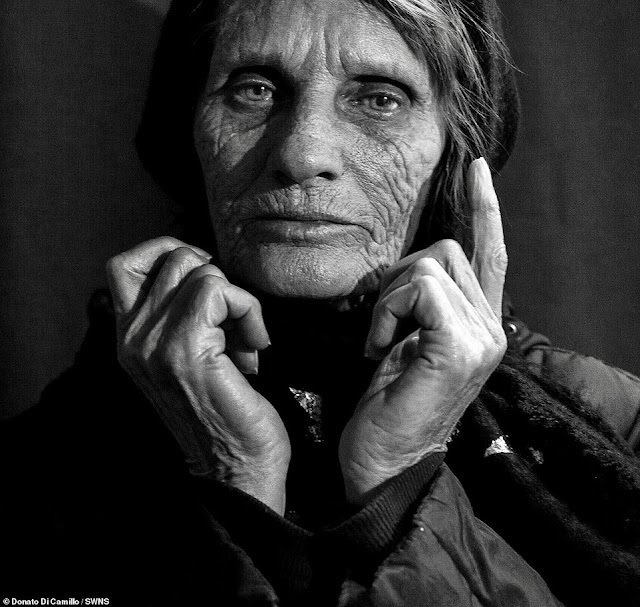 "It is frankly discrimination against women," a user named Nanyabianfu wrote. "Women can do whatever men can do." Another user, Wangyouxiaogaoderichang, said the special spaces should be changed to "novice parking". "'Female car parking spot is merely a form of indicating that female drivers are not skilled," they wrote. While other users recognised the advantages of wider car spaces, they believed it discriminated against both genders. "The design of the female parking spaces is a good and convenient design, but it is called the ladies parking space," user Caomuyiqiu_s wrote. 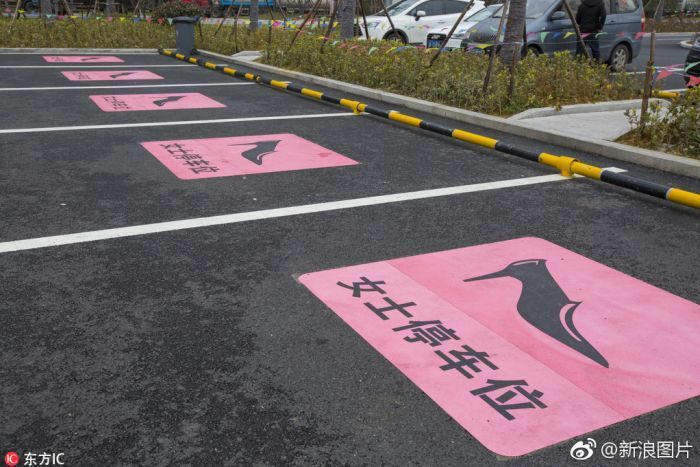 Women-only parking can be found in various designs and sizes across China and other countries including South Korea, where many are simply outlined in pink and marked with a pink skirt-wearing figure. As a part of the 'Women-friendly Seoul' project launched in 2009, the South Korean capital introduced thousands of pink parking spots to improve safety and convenience for female drivers. In China, airports in Beijing, Shenzhen, Wuhan and Guangzhou also offer female-only queues at security checkpoints that are staffed by female guards. The lines were introduced to make female passengers feel more comfortable while being checked by security and to improve efficiency. Women-only train and subway carriages have also been established in some countries including Egypt and Japan to combat sexual harassment. In Japan, where groping on trains is a longstanding problem, platforms and train doors are marked with signs indicating where the special carriages are as well as the days and times they are available to women only. On Cairo Metro trains, the middle two cars of every train are reserved for women. Women-only ridesharing services are also taking off around the world, though the concept has also been described as sexist and discriminatory. Australia's Shebah, which only hires and pick up women, was launched on International Women's Day last year. A special bus service in Papua New Guinea that gives women a safe and free ride, the Meri Seif (Safe Women), is now training some of the nation's first female bus drivers.